From college campuses to office parks, facilities across the country are facing rising maintenance costs. It’s a serious problem, but there are solutions available. One popular option is the outsourcing of maintenance and repair work. This can result in significant savings while also leading to increases in efficiency, innovation, and safety. Read on to learn more about the benefits of outsourcing. C&W Services is the only self-performing full-service facilities company with strong ties to commercial real estate by way of Cushman & Wakefield, our sister company. Our sole business is delivering the highest level of facilities management to our customers, and we believe that this core competency coupled with the backing of Cushman & Wakefield allows us to support complex capital planning and strategies. C&W Services has a team of subject matter experts who make sure that our front-line staff members are implementing the best and most efficient practices. All have been trained in the latest safety procedures, and are able to use new, innovative technologies. Our executive-level staff can also offer specialized business and market knowledge that is not available within most organizations. We’re also strategically investing in technical subject matter expertise across all of our service lines. This effort has culminated in our newly re-named Service Performance and Innovation team. Because of our size and scope, C&W Services can provide substitute personnel, replacement personnel, and supplemental personnel with ease. Therefore, we are always prepared for our customers’ planned and unplanned maintenance needs. An example of this is when we sent our lead maintenance mechanic at a client site in Maryland to client facilities in Boston, Chicago, and Kentucky to assist with various HVAC repairs. Read more about this story and how we’re always ready to tackle your maintenance needs. Deferred maintenance is a growing problem at all kinds of facilities. Our experienced team can help any business, organization, or school create an in-depth plan that will not just solve their deferred maintenance issues but will—through effective day-to-day service and the implementation of new technologies—keep maintenance costs low. Learn more about how we’re helping college and universities find solutions for their deferred maintenance, and how our efforts enable them to focus on things key to their mission like delivering a quality education and program affordability. As a facilities services company, C&W Services is responsible for the development of sustainability policies, meeting operational standards, and maintaining all relevant environmental records at a site. We are the only nationally CIMS (Cleaning Industry Management Standard) certified company offering CIMS-level cleaning across all regions and client sites. During one CIMS assessment, the inspector called our maintained site the cleanest he had ever seen. We’re confident that between our subject matter experts, front-line staff members, and unique market insights we can save facilities money while increasing productivity and safety. By outsourcing cleaning, mailroom services, server room management, reception, office services, and maintenance and repair work, companies, schools, and other organizations can focus more on their central goals. We—ll also take care of everything from administrative needs to staff management to quality control. 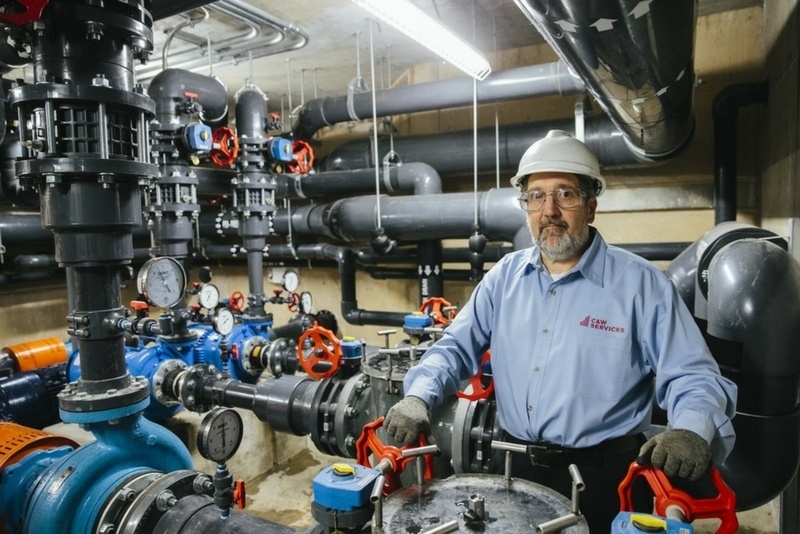 We manage over 600 facilities and campuses across North America, and we’re confident that we can help lower your maintenance costs.